The Postgraduate Diploma in Business Programme offers advanced academic training to equip bachelor’s degree holders with advanced English language academic and analytical skills, and a solid foundation of business knowledge required to study a master’s degree programme in a business-related discipline. 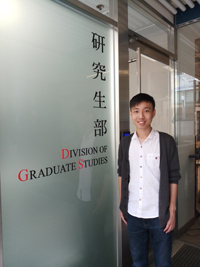 This programme is operated by Lingnan Institute of Further Education in collaboration with the Division of Graduate Studies, Lingnan University. Please download the Programme Brochure for further details. * Students are required to take and pass a pre-entry programme prior to formal admission to the Master of Accountancy (MAcc) Programme, with courses to be determined by the MAcc Programme. Students are also encouraged to take the elective course “Accounting and Financial Statement Analysis” in this Programme in order to qualify for exemption of an accounting course in the MAcc Pre-entry Programme. ** Students are required to have taken Financial Management in their undergraduate studies; and to take the elective course "Accounting and Financial Statement Analysis” in this Programme and attain grade B- or above. *** Students are required to have taken Macroeconomics and Financial Management in their undergraduate studies, and attained acceptable grades as determined by the Master of Science in International Banking and Finance Programme. Students can also apply for admission to other business-related taught Master's Degree Programmes offered by other local/overseas universities. Students are required to complete 8 courses in 2 terms, consisting of 4 required courses in term 1, and 2 required and 2 elective courses in term 2. *Degree holders in a non-business discipline with relevant work experience will also be considered on a case-by-case basis. Obtain a cumulative GPA of 2.67 or above. Applicants may submit their online application via online application system. Remarks: Applicants should provide original copies of passport and ID card for verification upon submission of application form in person or participation in interview. 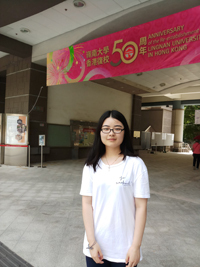 “LIFE gave me a chance to continue studying. This programme covered English language and core business knowledge which benefited me a lot. The lecturers were dedicated, serious and responsible. They helped me to learn with direction and be more focused. Thanks to LIFE and the lecturers for scaffolding and guiding me." 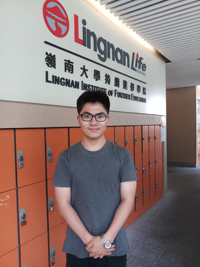 "When thinking about my education experience in my life that has contributed to where I am in my career, my time at Lingnan University stands out. My fabulous journey started here. The PGD courses opened the door to business for my future study and career transition. The English courses helped me conquer the tool in global communication, and the business courses provided "me international insight and solid basic knowledge in business world. 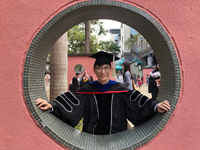 I will forever remember the teachers who always encouraged us to think critically and be confident, and the classmates who made the university and Hong Kong a warm home for me. All in all, this is a great experience in my life."